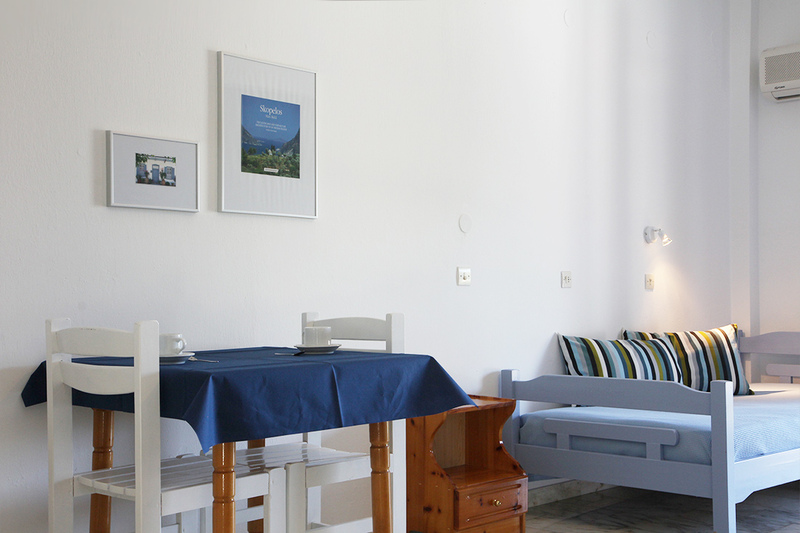 Studios are on the two upper levels of the building; they have gone through a lot of improvements recently, regarding both their facilities and decoration. 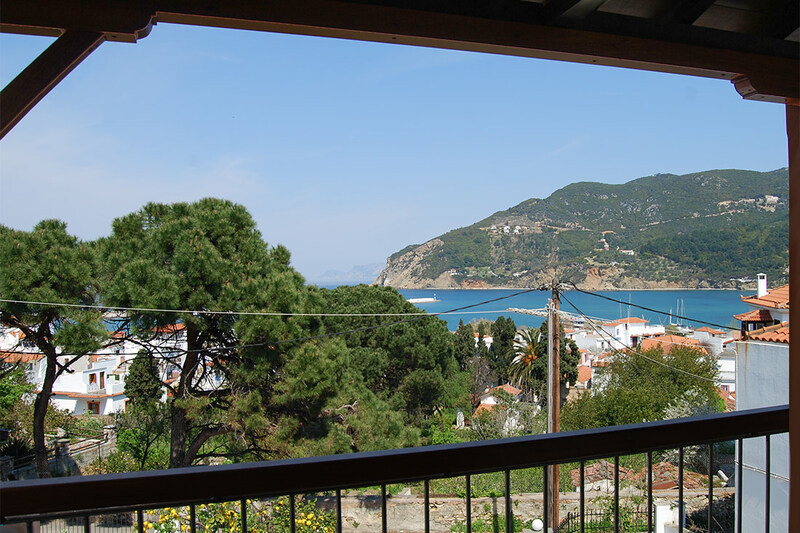 Open plan and anchored by cool marble floors, each studio has a private, covered balcony with direct sea views, which can be enjoyed even from the interior of the room. 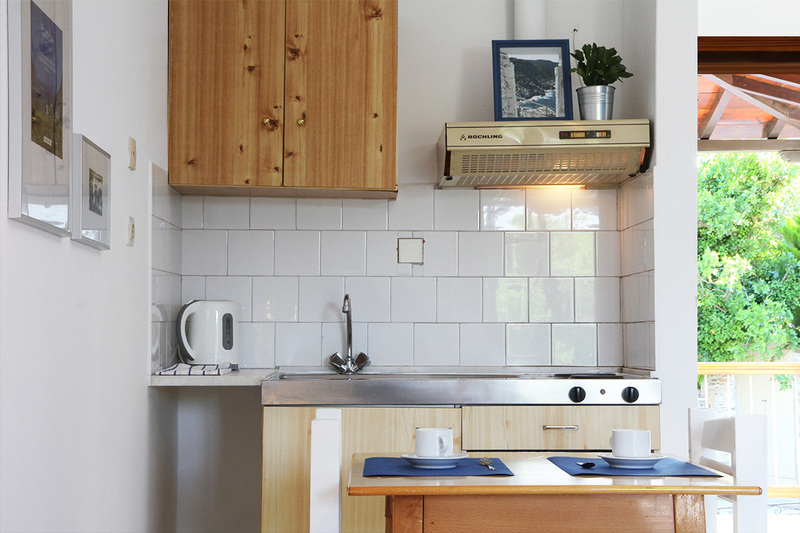 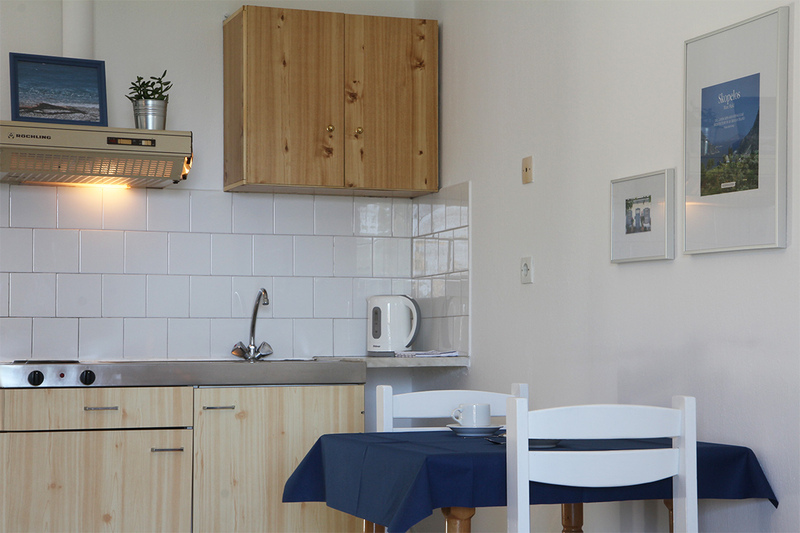 The kitchenette – in the same space as the room – is equipped with basic cooking facilities, such as: small fridge, sink, two electric cooking rings, extractor fan, cupboards with utensils and kettle. 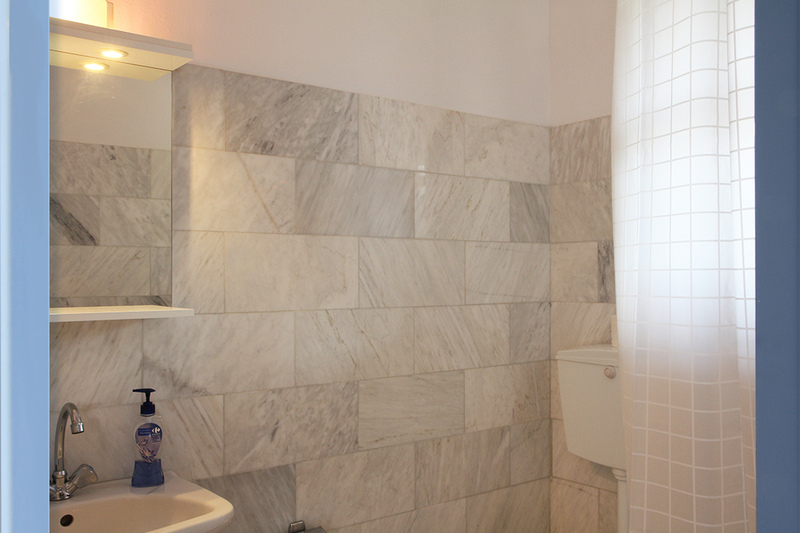 The en-suite small bathroom has marble tiled walls, hand basin, wc and shower tray with curtain. 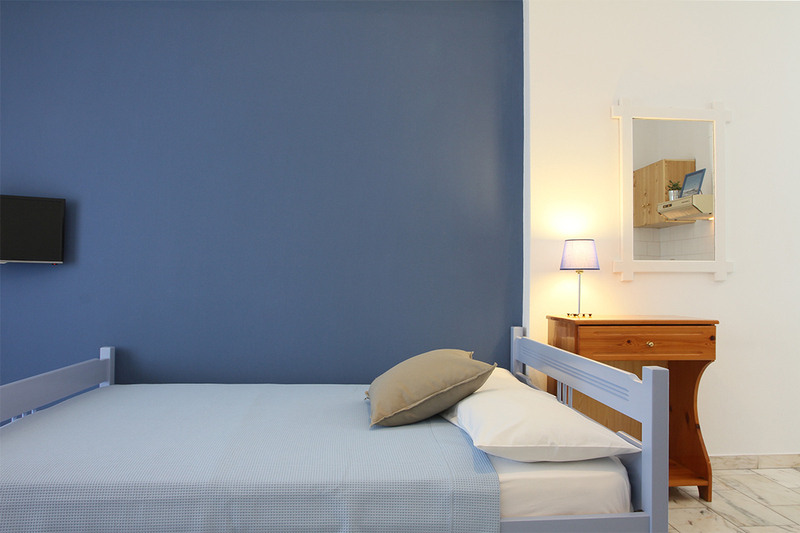 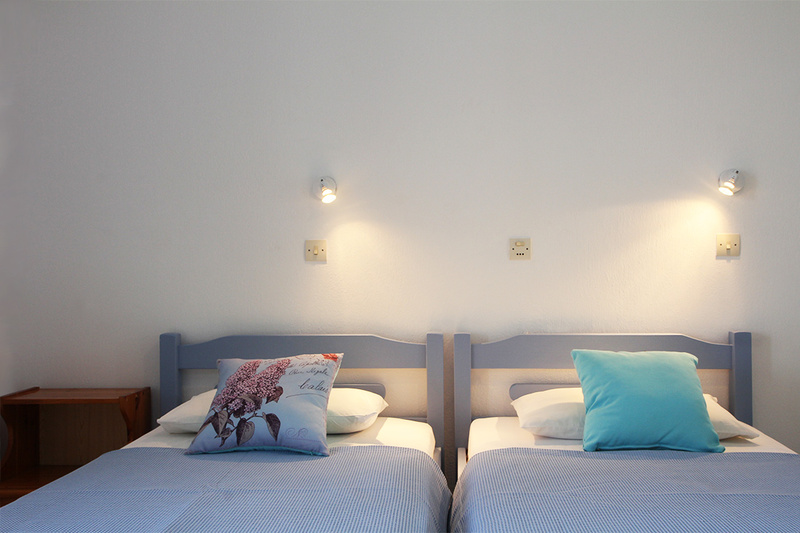 Studios for 2 guests provide either a double bed or twins. 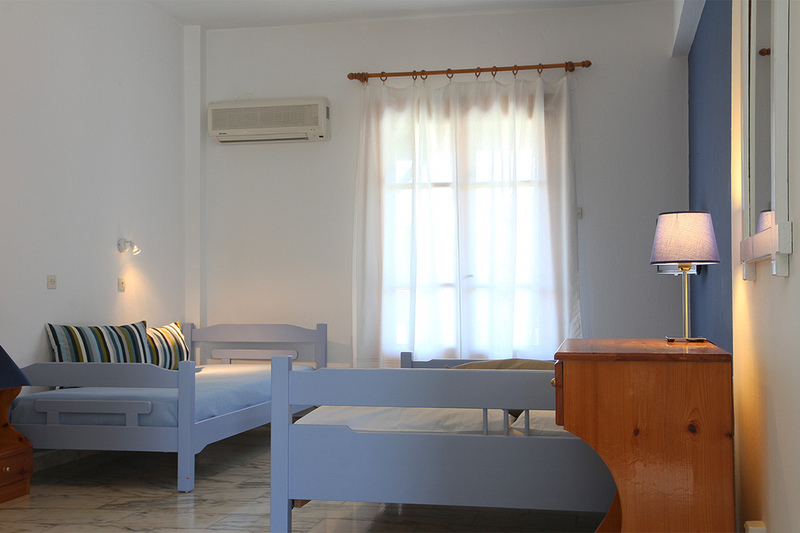 Studios for 3 guests provide a double bed and a single one – which if not occupied is a cozy corner for relaxing, reading or surfing the internet. 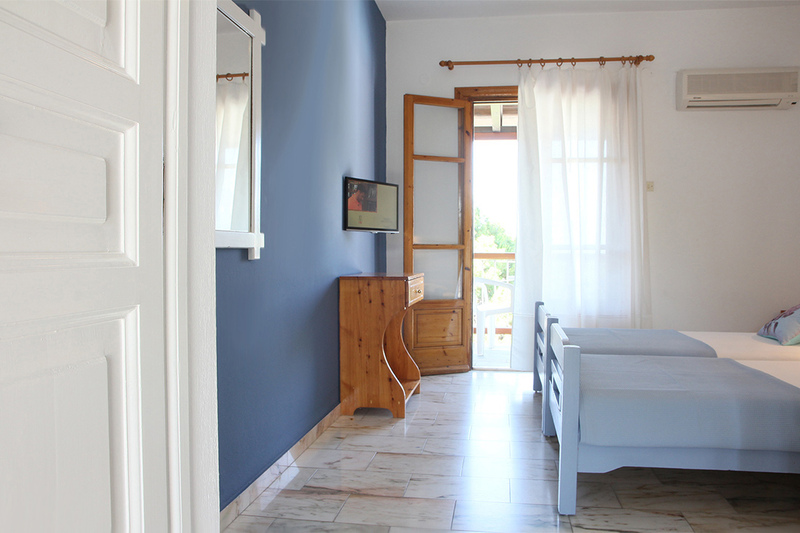 Although all studios are equipped with air conditioning units, their need is minimal; they are designed with cross ventilating windows that allow the sea breeze to flow freely.